The only Content Management System (CMS) specifically designed to help aftermarket companies manage, share, publish and distribute product and application information. Ensure that your entire organization has seamless access to a comprehensive central repository of accurate, up-to-date product and application information. 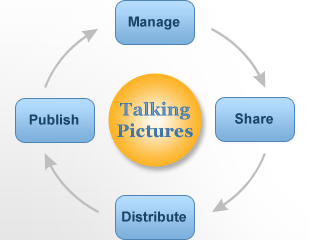 Talking Pictures 7.0 helps you increase productivity and eliminate duplicated effort by giving staff in all your departments and locations access to the same secure Content Management System (CMS). Provide trading partners across the supply chain with the information they need to sell more of your products, in industry formats like ACES and PIES. Talking Pictures 7.0 makes data distribution easy. 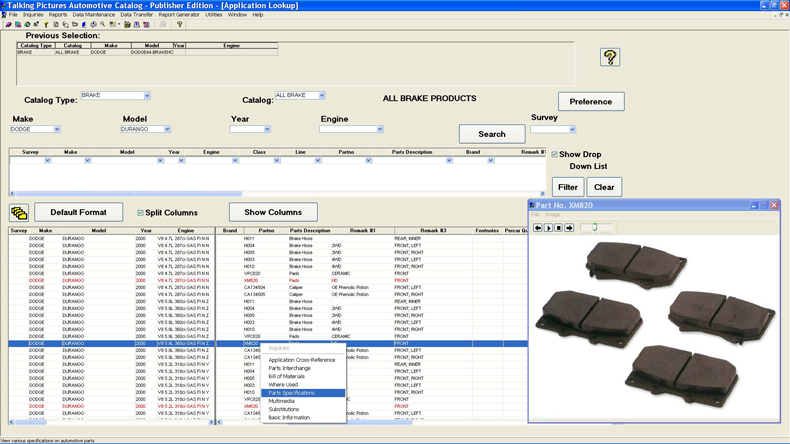 With Talking Pictures 7.0, you can efficiently create highly professional, customer and product line-specific catalogs, using print media, the Web and a variety of electronic formats. "Talking Pictures allows Dayco’s catalog, engineering and marketing staff in separate locations to access a single, central database. This reduces data redundancy and duplication of effort, maximizing productivity and efficiency." 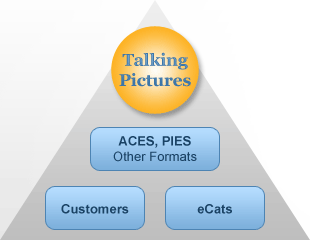 "Talking Pictures has transformed IMC in so many ways – from managing hundreds of suppliers’ data, to expanding coverage, to efficiently servicing eCats, program groups, retailers and etailers. 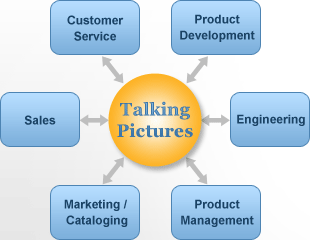 Since we implemented Talking Pictures, our sales have increased significantly." 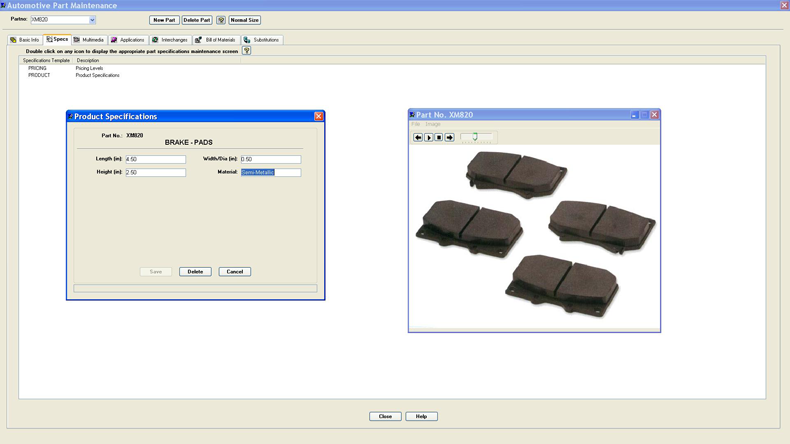 "When Chrysler entered the market, we needed a tool for managing and publishing our application data. Talking Pictures was pivotal in building Chrysler’s online presence. We are now delivering accurate, up-to-date, standards-compliant data to all our trading partners." "King-o-Matic has been a Solenium customer for over 25 years and we’ve used Talking Pictures since it was launched. Talking Pictures has allowed us to publish catalog data in a snap and has proven to be an invaluable tool for validating data and increasing sales by maximizing application coverage." 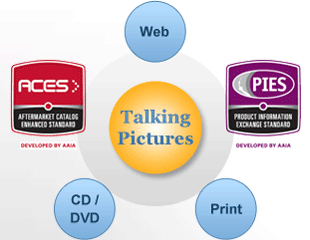 "The Talking Pictures program provides us with a single data storage warehouse that gives us the ability to export our data to multiple formats. This feature, along with the image utility, provides us with a complete cataloging resource that supports data exchange with our trading partners."